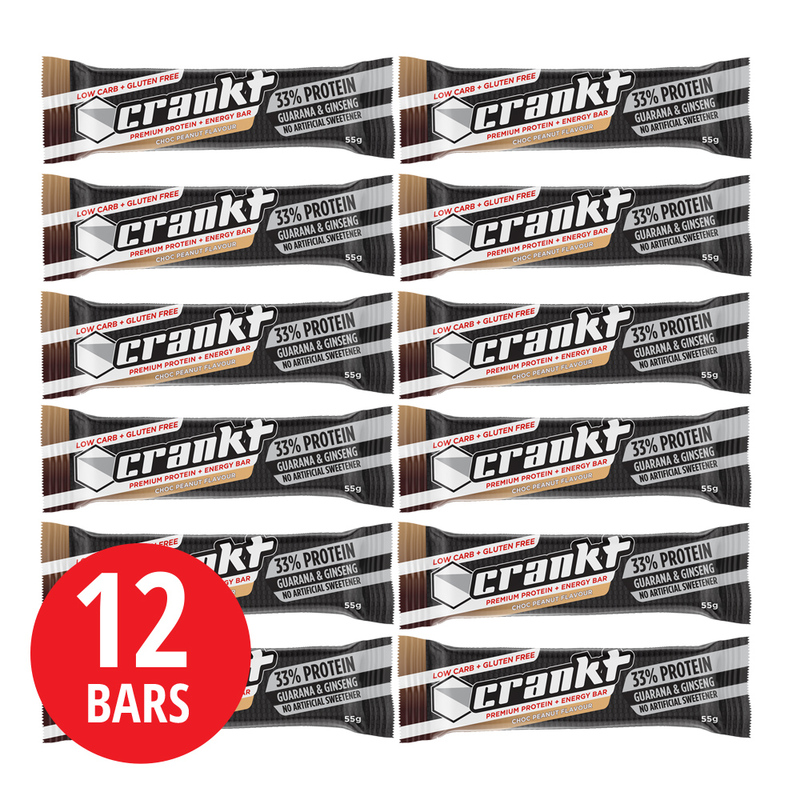 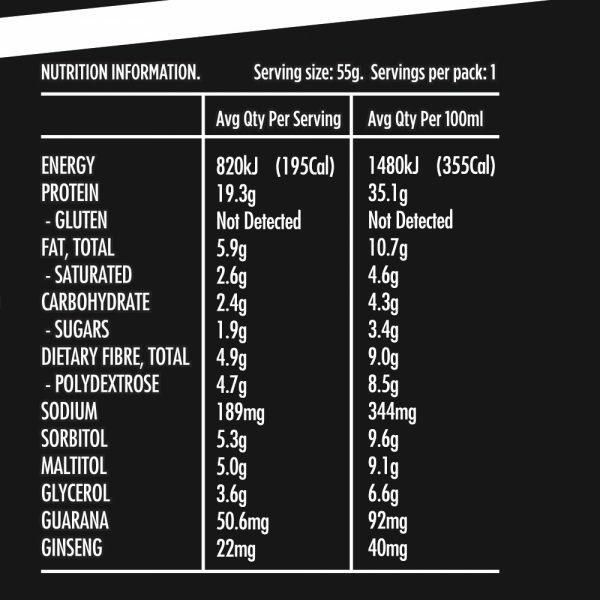 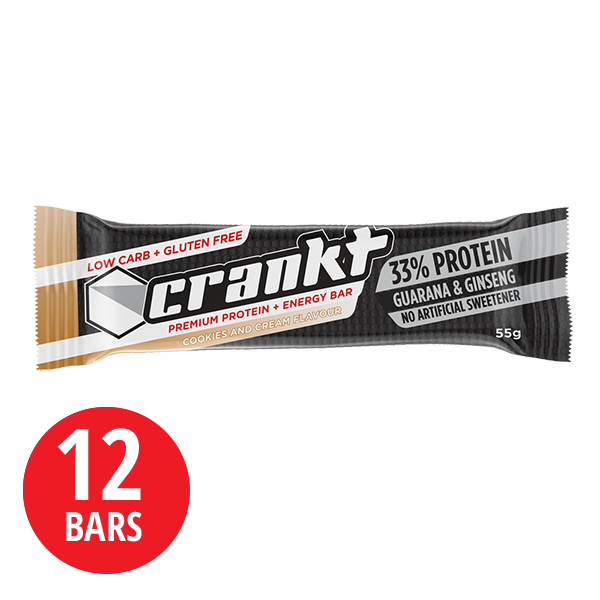 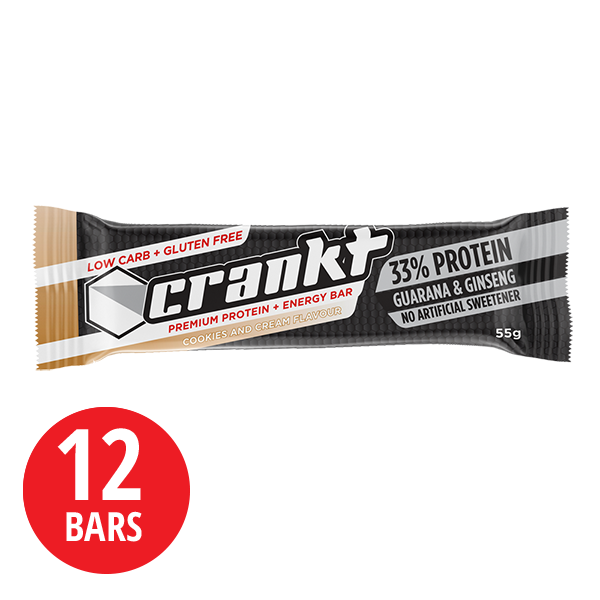 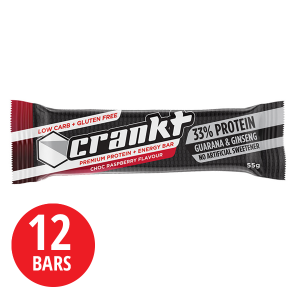 Crankt protein Bars combine premium high protein, low carb ingredients plus guarana and ginseng, giving your body energy, nutrients and the strength it needs to power through your day. Packed with additional vitamins and minerals designed to improve stamina. 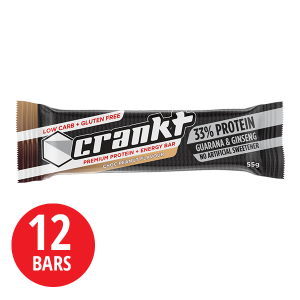 Each bar contains 35% protein and only 4% carbs. 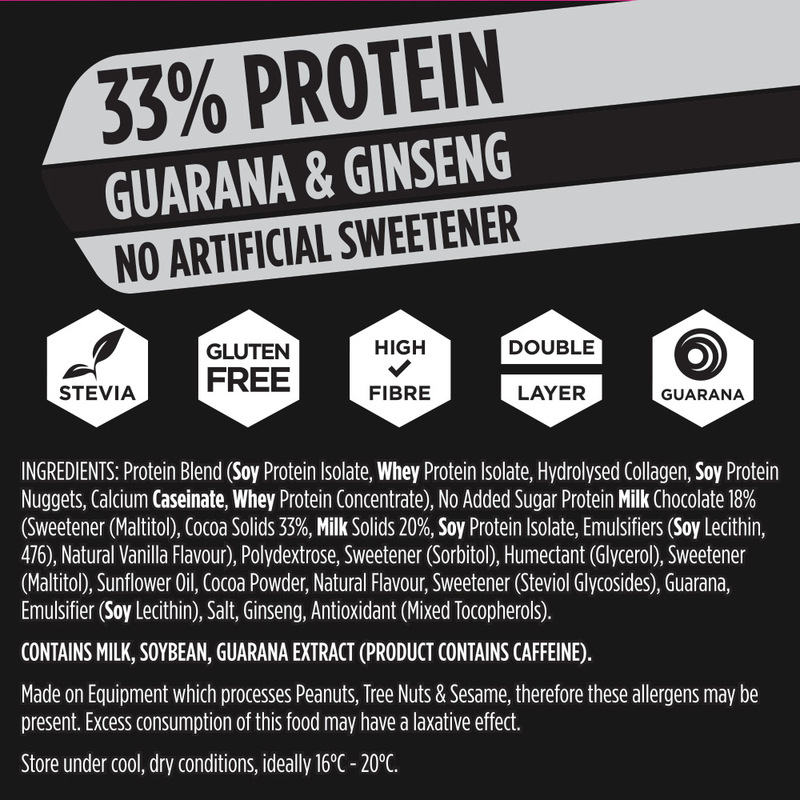 Available in choc cookies and cream flavor. Ingredients: Protein blend (soy protein isolate, whey protein isolate, hydrolysed collage, soy protein nuggets, calcium caseinate, whey protein concentrate), no added sugar protein milk chocolate 18% (sweetener (malitol), cocoa solids 33%, milk solids 20%, soy protein isolate, emulsifiers (soy lecithin, 476), natural vanilla flavour, polydextrose,, sweetener (sorbitol), humectant (glycerol), sweetener (maltitol), sunflower oil, cocoa powder, natural flavour, sweetener (steviol glycosides), guarana, emulsifier (soy lecithin), salt, ginseng, antioxidant (mixed tocopherols).